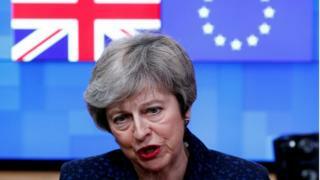 Theresa May will urge the EU to help get her Brexit deal through the Commons by agreeing legally binding changes to the controversial backstop. The EU says the UK must come forward with new ideas to break the deadlock. The UK is due to leave on 29 March. Mrs May will visit workers in Grimsby, Lincolnshire on Friday, days before the second “meaningful vote” in the House of Commons on the withdrawal deal she has negotiated with the EU. “We are both participants in this process. It is in the European interest for the UK to leave with a deal. BBC political correspondent Ben Wright said making a public appeal to the EU for compromise just four days before the vote was an admission of how tough negotiations with the EU were proving. 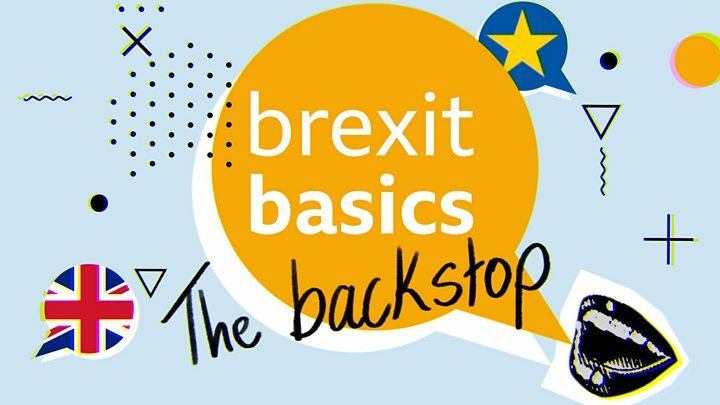 Mrs May is seeking legally-enforceable changes to the “backstop” – a controversial insurance policy designed to prevent physical checks on the border between Northern Ireland and the Republic of Ireland – but there have been few visible signs of progress. Leading Brexiteers are looking for reassurances that the backstop – which would see the UK aligned with EU customs rules until the two sides’ future relationship is agreed or alternative arrangements worked out – will not endure indefinitely. The European Commission said on Wednesday that “no solution has been identified” to the Irish backstop and it has refused to rewrite the withdrawal deal already struck, which is designed to ensure an orderly Brexit on 29 March and pave the way for trade talks. But UK attorney general Geoffrey Cox said UK plans to solve the issue were “as clear as day” and talks with the EU would “almost certainly” continue throughout the weekend. The Labour leadership wants the UK to remain in a customs union with the EU and Jeremy Corbyn met some Conservative MPs on Wednesday to discuss alternatives to the prime minister’s deal, if it is again rejected by Parliament. Shadow Brexit secretary Sir Keir Starmer said: “It’s becoming increasingly clear that Theresa May will not be able to deliver the changes she promised to her failed Brexit deal. This speech looks set to be an admission of failure. MPs are due to vote for a second time on the Brexit deal next week. If they reject the deal again, they will get to choose between leaving without a deal or deferring the UK’s exit from the EU beyond the scheduled date. Any extension to the Article 50 process, under which the UK is due to leave the EU on 29 March, would need the unanimous approval of the EU. Cabinet Brexiteer Liam Fox told the BBC’s Newsnight programme that he was concerned that Remain MPs may seek to wrest control of Brexit from the government next week. “The thing that I fear is that… there will be a risk that we might not deliver Brexit at all,” he said. But former Labour Prime Minister Gordon Brown has told the BBC he is calling for the UK to seek an extension to the Article 50 process and suggested a year-long extension would allow further consultation with the British people. Does anyone really know what happens next? Next week the prime minister is going to have another go at getting her deal through Parliament, which would reverse a record defeat of over 200 votes. She’s going to try with, she hopes, a new piece of legal and verbal gymnastics from her attorney general that is proving extremely difficult to nail down. Number 10 is trying too, with a series of promises on issues like workers’ rights to Labour MPs, and a cash fund that will be up for grabs for constituencies around the country, that have lost out to greedy urban giants. But the mood is not good around the government. Only one minister this week has told me they believe the deal will get through.